Anyways, during my stay in Seoul, I was able to meet up with my lovely unnie Alice, aka Seohyun Bang, aka the woman behind W2Beauty. I first started talking with Alice when I started my blog, so about 2.5 years ago. At that time I emailed her to ask about her recommendations for a certain product, but over time we started talking more and more and became friends. So when I told her that I was going to Seoul to study, we agreed that we had to meet up. If you're reading this unnie, thank you so much for taking time out of your busy schedule to hang out with me! Enough chitchat now, and let's get started with the actual post! I apologize beforehand for the lack of details and pictures- it's been half a year since I went to Seoul and I took along a crappy point-and-shoot camera instead of my DSLR. Side note to self: never ever get lazy again and always bring a good camera even if it's heavy. =__= One of my biggest regrets tbh was not bringing my DSLR. 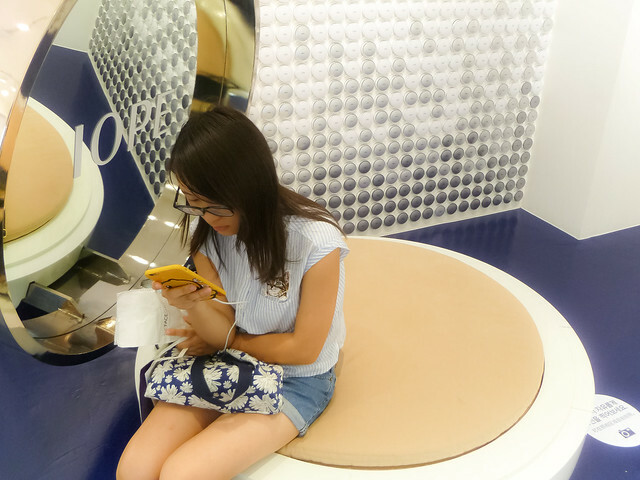 Alice and I decided to meet in Myeongdong, which is the shopping district of Seoul when it comes to Korean cosmetics. It's literally every beauty blogger's dream place (and also our wallets' worst nightmare haha). 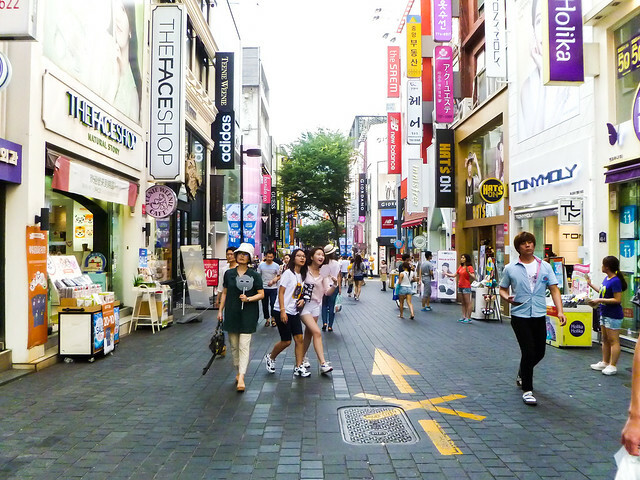 I seriously spent so much money and time just wandering the streets of Myeongdong with friends and by myself. Since Alice and I met up during the early evening, we decided to have an early dinner. She took me to one of her favorite restaurants, which I don't remember the name to, but if you guys are interested I can ask Alice and let you all know! It was located on the outer edges of Myeongdong somewhere near the back away from the entrance. The restaurant was on the second floor of a building and it wasn't extremely visible. What I remember though was that that place had the best bulgogi I ever had. If you're a fan of bulgogi, then you definitely have to give this place a try! Sooo yeah. Moving on. 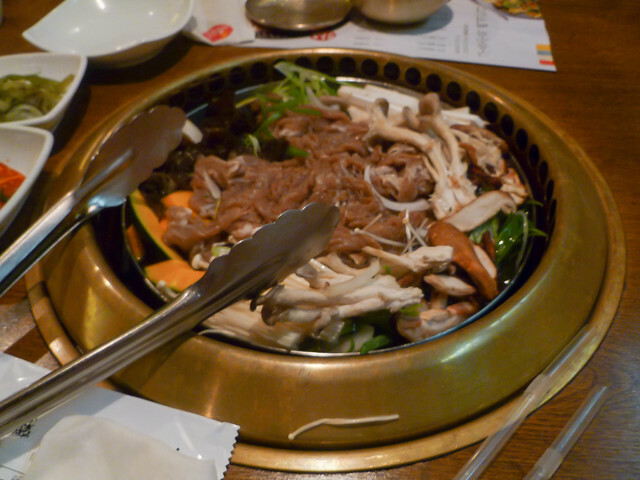 Here's a picture of the bulgogi (I can't find any other pictures of it >__<). To be honest I wouldn't really recommend getting bulgogi in Korea if you're looking for Korean dishes you can't try anywhere else or dishes that just don't taste the same outside of Korea (like tteokbokki). However if you're going to get bulgogi anywhere then that's the place! Alice looking through customers' orders near the end of our meal. 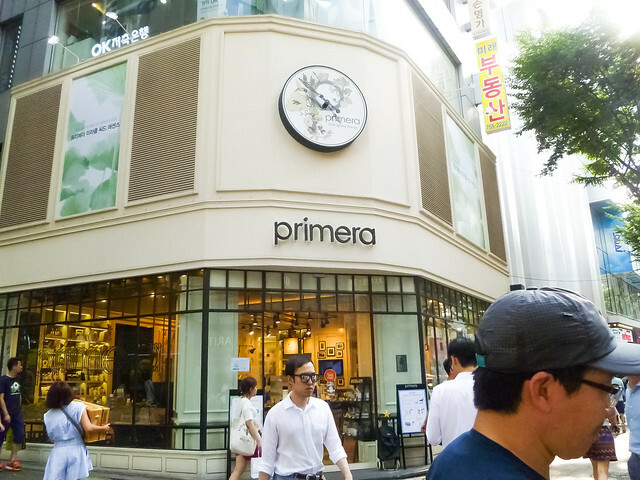 After we ate Alice took me to one of her favorite stores in Myeongdong, which also happens to be one of mine too- the Primera flagship store! I don't have any photos of the inside of the store because I wasn't sure if the employees allow pictures, but it's really nice inside with even a sink for you to try out their cleansing products. After we left the store Alice had to buy a few things for W2Beauty, so we went on a mini shopping trip for her customers! If you were interested in what goes on behind the scenes of W2Beauty, here's some pictures of Alice shopping. 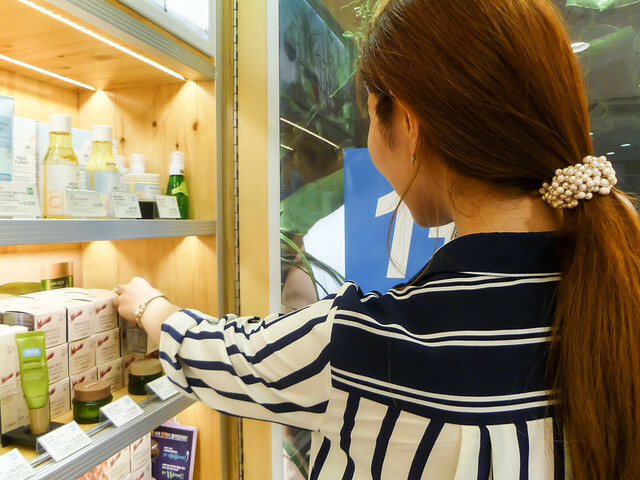 We went to Tony Moly, A'Pieu, Clio, and a couple of other stores as well! Can you recognize any of the brands below? 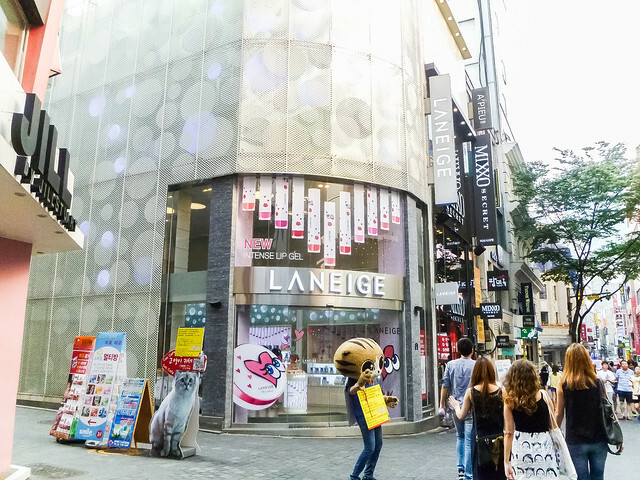 We also passed by the Laneige flagship store, located in the center of Myeongdong. Laneige had just released their LANEIGE X PLAYNOMORE collection back then. Alice also mentioned how her phone got stolen twice in Myeongdong already, which I was surprised to hear since pickpocketing didn't seem very common in Korea (as opposed to China). A reminder to everyone to always be careful of your personal belongings when in crowded areas, you never know what could happen! 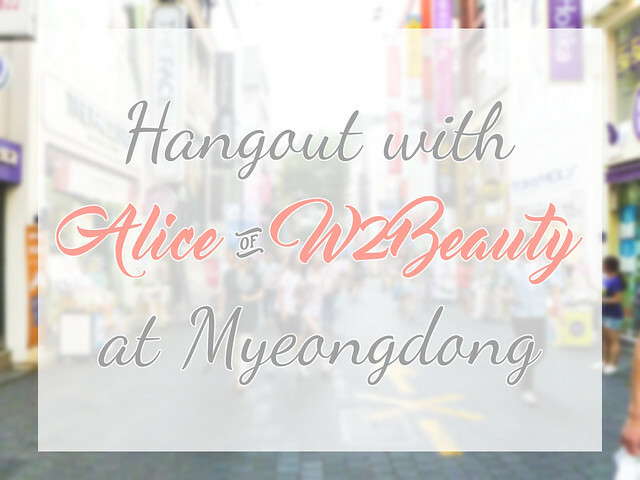 Please check out W2Beauty and feel free to like/follow Alice on Facebook and Instagram for giveaways and other updates! First time customers can sign up using my code 04308009 to receive $5 off their first minimum order of $30. If you guys would like to read more about Korea, leave me a comment down below and I'll get to work on those posts! Also, be on the lookout for a HUGE haul post that's coming soon :D Thank you for reading!